A getaway that is as carefree as a vacation should be. Fully-furnished Ocean Golf Villas starting from $1,375,000. Choose the vacation home that suits your lifestyle. With up to 2,800 square feet of space, the Villas are completely cared-for by the Resort year-round. Enjoy 24-hour room service, comprehensive housekeeping, dry-cleaning and laundry. Find where you belong at the edge of the world. With sweeping vistas of The Links Golf Course and the Pacific Ocean, the Ocean Golf Villas offer up to 2,800 square feet of luxurious space for reconnecting with family and friends. Return again and again for up to three months each year to leisurely enjoy the elegant beauty around you. Impeccably furnished, each of the two- and three-bedroom floorplans includes a fully equipped gourmet kitchen with Viking appliances, laundry room, owner storage and private enclosed garage. A vacation home like no other in the world providing two to three months’ vacation time to renew the soul, year after year. This could be your weekend getaway place. A beach house for every season. Customized to the way you live your life. A guiding principal in the creation of Terranea was that the resort should weave itself into the cultural and historical fabric of Palos Verdes Peninsula and the Pacific Coast. 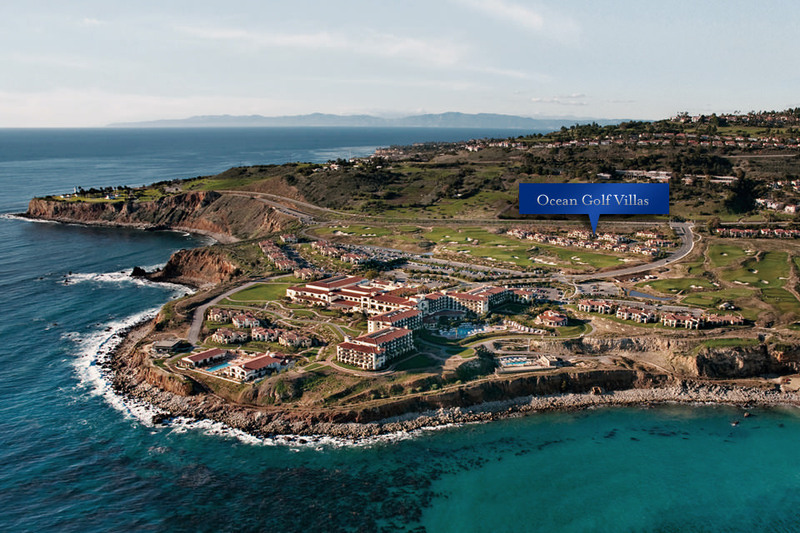 Nestled within a California Coastal Preserve, Terranea was developed with the highest environmental standards in cooperation with the California Coastal Commission. At Terranea, we share the Commission’s commitment to protecting everyone’s access to the coast. That is why, although the Villas and Casitas are offered as whole ownership (not timeshare or fractional) we adhere to 2-month and 3-month usage guidelines for Casitas and Villas owners respectively. Under this unique condition, rental of the vacation homes when owners are not in residence is required. As an owner, you can take advantage of our professional rental program, or take responsibility yourself for renting during the times when you are away from your home on the Peninsula. We can discuss the options of this program for owners at the Real Estate Gallery. Contact us for a tour or more information about how our owners thoroughly enjoy their special privileges and vacation homes.